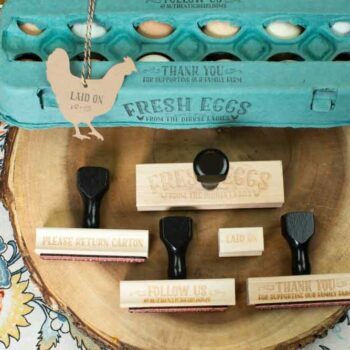 This stamp is designed to be stamped directly on egg cartons and requests that the carton please be returned. 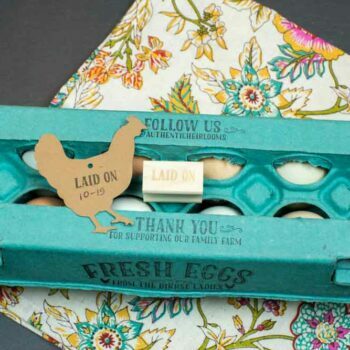 The stamp can be used on the inside top of windowed or flat-top cartons and fits standard dozen and half-dozen cartons. 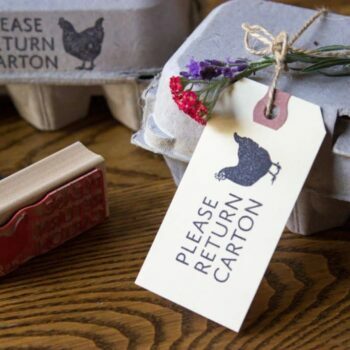 It features a chicken on either side of the “Please Return Carton” message. 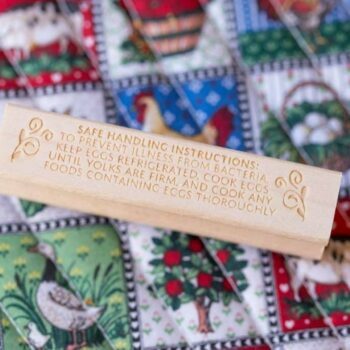 The stamp measures 4in x 1/2 inch and does not come with a handle. It felt like I received a birthday present! The package included extra things, such as a handwritten note! I’m so impressed and I can’t wait to buy from you guys again! Thank you for going the extra mile, it really is appreciated!! I love my stamp!! I was able to request it to be personalized how I wanted it without any problems. It is just what I was looking for! Very kind and quick service. I also recieved a small sample along with my handwritten thank you note. Very appreciated. Will return for my future stamping needs! Super fast shipping, item as listed. Thank you!! Perfectly crafted and fast shipping! What else could you ask for?! Thanks a bunch!